Made to be ergonomically comfortable and promote ease of use, the sleek curves and modern style of the VisionSteel travel mug is perfect for advertising to individuals. 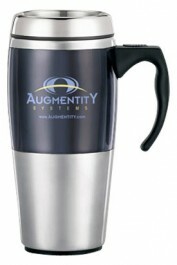 The brilliantly designed combination of stainless steel and contoured handle with thumb-rest offers the most durable, comfortable and visually attractive travel mug on the market. 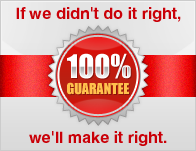 Available with your own personalized logo, it is now possible to advertise like never before. 7 1/4" h w/lid x 5" w w/handle. Please note all dimensions are approximate. 6 to 9 working days. 3 DAY & 1 DAY rush service available.